The Emerald City is filled with family-friendly unique experiences. From famous markets and buildings to top-notch museums and an iconic waterfront, Seattle will surely capture your family’s heart. 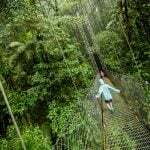 There is so much to do and see, it’s a challenge to pick the best, but we’ve done it. Here are the top 10 things to do in Seattle for families. 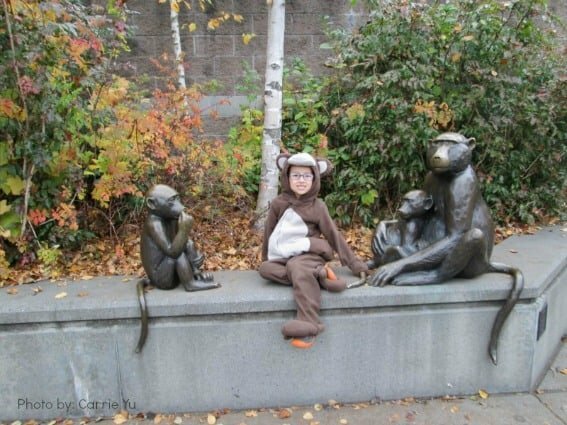 The Woodland Park Zoo is a memorable one and was voted one of Trekaroo’s top zoos in the US. Your family will love walking the trails through the heavily wooded property and meeting animals of all shapes and sizes. Don’t miss the chance to ride on the historic carousel as well! Check out our list of the best zoos in the United States! At the Seattle waterfront, you can visit the great Seattle Aquarium and meet lots of fish, otters, seals and more. Take a ride on the Great Wheel, or catch a ferry to Bremerton or Bainbridge Island for an afternoon of exploring. 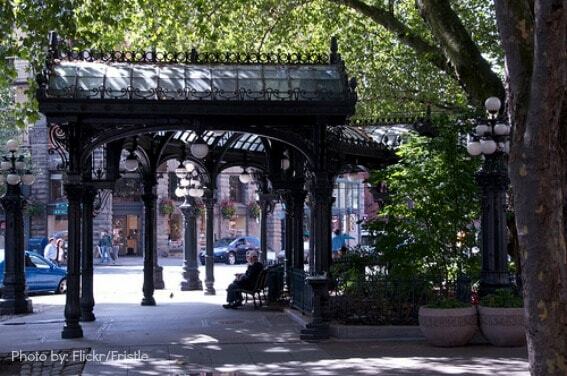 Pioneer Square is where the city of Seattle really got its start. It’s home to Smith Tower (once the tallest building west of the Mississippi) where you can visit the beautiful Chinese Room to see views of Seattle and beyond from 38 floors up. 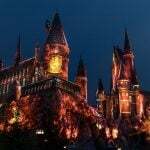 Take the educational (and hysterically funny) Underground Tour and visit the city under the city! Don’t miss the (free) Klondike Gold Rush National Park, which has great kid-friendly exhibits that teach all about Seattle’s Role in the Alaskan Gold Rush. 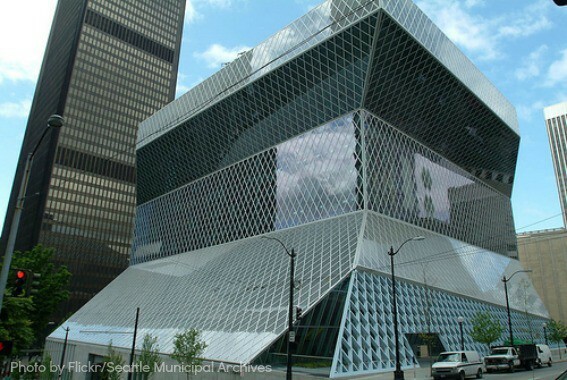 This very unusual-looking building was designed by the architect Rem Koolhaas and must be seen to be believed! The Seattle Public Library is home to a great kids’ area with lots of books, toys, and seating (WiFi available). This is a great place to sit and rest up during a busy day of exploring the city. Wander the floors and check out all the unusual colors and architectural features and enjoy views of the city from the top floor. 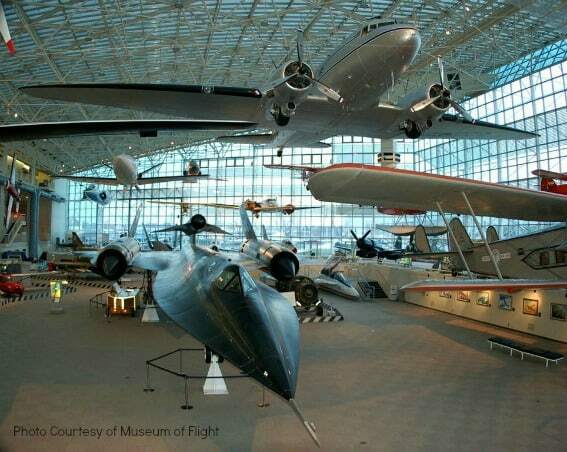 Check out a huge collection of planes from many eras, learn about Boeing’s start in Seattle, and even tour Air Force One, a Concorde jet, and the Space Shuttle trainer at the Museum of Flight. 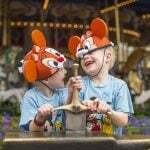 Seattle Center has no end of fantastic family-friendly activities. Check out views of Seattle from the top of the iconic Space Needle. 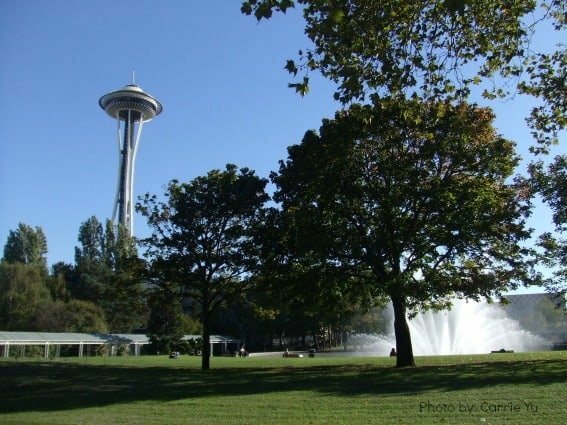 Visit the Pacific Science Center, the Seattle Children’s Museum and Chihuly Glass Museum and Garden, all located just steps away from one another. Music & culture lovers should not miss the engaging Museum of Pop Culture. Grab a bite to eat at the Armory, which is home to lots of great food, including many from local restaurants. And don’t miss the International Fountain with water shows synchronized to music! The Seattle Art Museum (SAM) is home to a diverse collection of art, great traveling exhibitions, and two kids’ play/learning areas! Best of all, admission is always free for kids 12 and under. 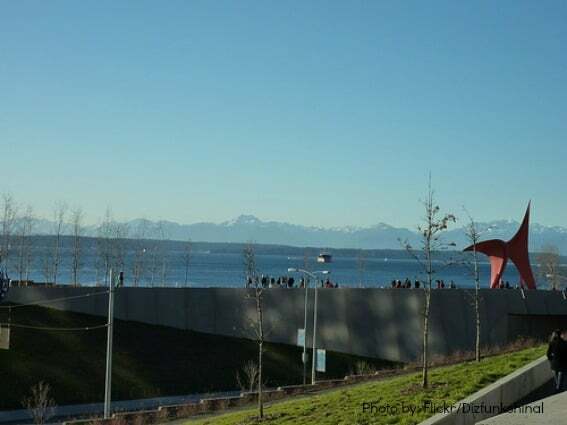 The Olympic Sculpture Park is SAM’s outdoor gallery with lots of huge art to view, as well as beautiful views of the Sound and mountains. 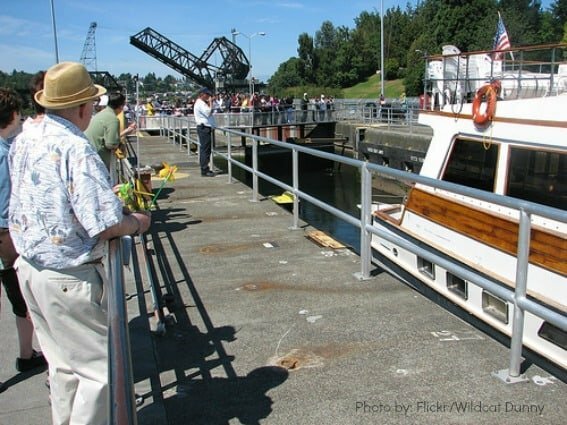 Officially named the Hiram Chittenden Locks (but never actually called that), the locks are a fun place to watch boats move from the freshwater Lake Union out to the saltwater of Puget Sound or the other way around. These locks have been operating for 100 years! Check out the fish ladder to see salmon swim upstream. When you’re done watching boats, wander the paths around the park and enjoy the beautiful gardens and views. South Lake Union is home to the fabulous and very kid-friendly Museum of History and Industry (MOHAI), where you can get up close and personal with Seattle’s history and innovations. Just outside MOHAI is a collection of historic ships from various parts of Seattle’s history. Also in South Lake Union is the fun (and free) Center for Wooden Boats, as well as a park with lots of walking trails, float planes taking off and landing, and great restaurants nearby! It wouldn’t be a trip to Seattle without a visit to the iconic Pike Place Market in the heart of the city. Watch salmon fly through the air, sample local produce, admire bundles of fresh flowers, shop for local crafts, and admire views of Puget Sound and the Olympic Mountain Range. 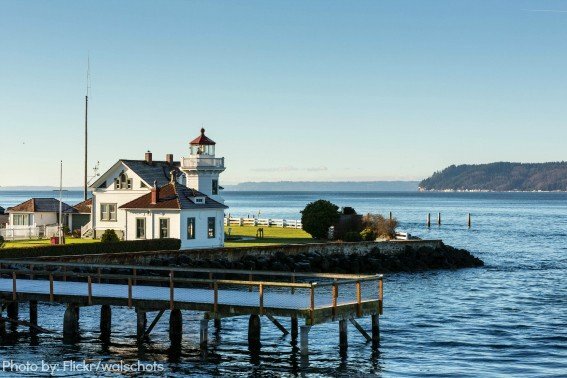 Whidbey Island: Hop on a ferry or make the drive to Whidbey Island to enjoy amazing views of mountains and water, taste incredible local foods, and explore quaint towns! 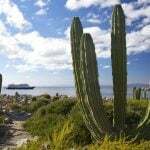 Sample more of what Whidbey Island has to offer. Snoqualmie: Located just about 30 minutes outside of Seattle, Snoqualmie is home to both the beautiful Snoqualmie Falls and the historic Northwest Railway Museum. 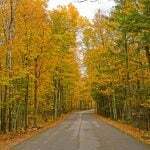 Admire the falls, check out the old trains at the museum, and explore the little shops and restaurants in town. 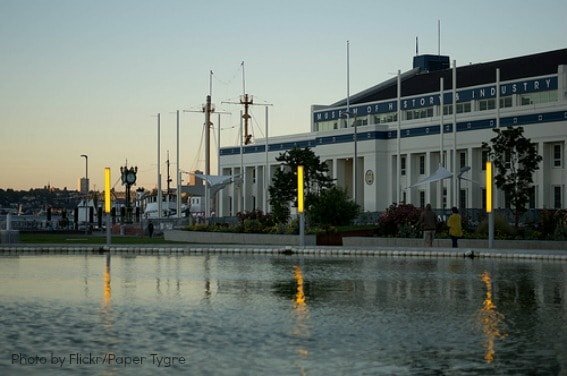 Tacoma: Drive the short distance south from Seattle to nearby Tacoma, Washington, which is home to lots of great museums and family-friendly outdoor activities. 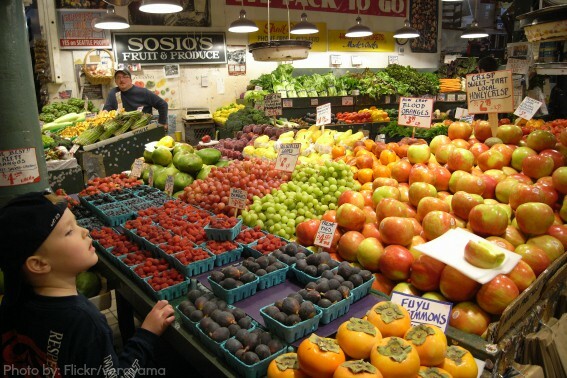 Pike Place Market: If you are craving a particular type of ethnic food, chances are good that you will find it in the market. Everyone in your family will definitely be able to find something that pleases their palate from one of the many food stalls and restaurants lining the market. Tutta Bella Pizza: Tutta Bella is a restaurant that manages to combine nice dining with a super family-friendly atmosphere. Be sure to try their excellent wood-fired pizza! Ivar’s Fish and Chips: Ivar’s is a Seattle institution; do not miss the chance to grab a cup of chowder or a basket of fish and chips! Red Mill Burgers: Craving a good burger? Red Mill Burgers has some of the best in the area! You won’t regret adding fries and root beer to your order as well. Top Pot Donut: Top Pot is the go-to place for great donuts. Even President Obama dropped by when he was in town! Top Pot has lots of yummy donuts to choose from, but a local favorite is the classic maple bar. Seattle has a number of well-located family-friendly hotels. Here are some of our favorites! 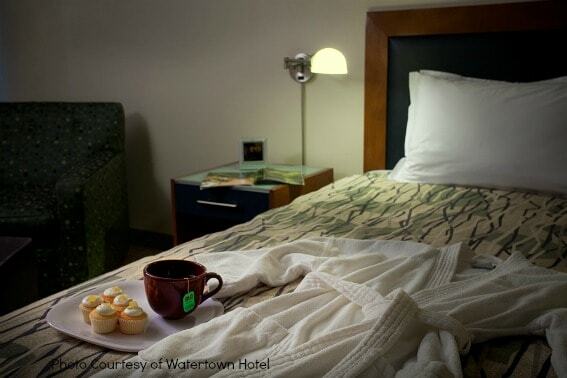 Watertown Hotel: Located just out of downtown in the University District, the Watertown Hotel features free shuttle service to popular tourist destinations in Seattle, free bike rental, free laundry facilities, free parking, comfortable rooms, and pineapple cupcakes in the lobby! Sheraton Seattle: The Sheraton is conveniently located in the heart of downtown Seattle, within walking distance to many popular attractions. Trekaroo families especially love the Sheraton’s pool on the 35th floor! The Westin Seattle: The Westin is one of the easiest buildings to identify in Seattle- the twin towers are circular! This hotel is located near the monorail, which runs to Seattle Center, and is close to shopping, Pike Place Market, and more. Fairmont Olympic: The Fairmont Olympic is a grand, historic hotel, located right in the heart of downtown Seattle. Families love the luxurious atmosphere and attention to detail. The hotel even provides kid-sized bathrobes! 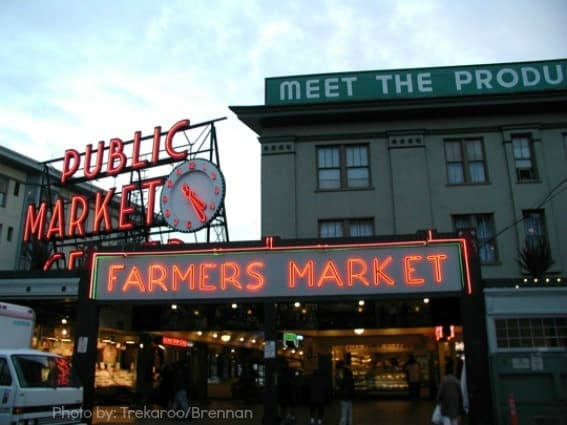 Find out all the places where Trekaroo families stay in Seattle! 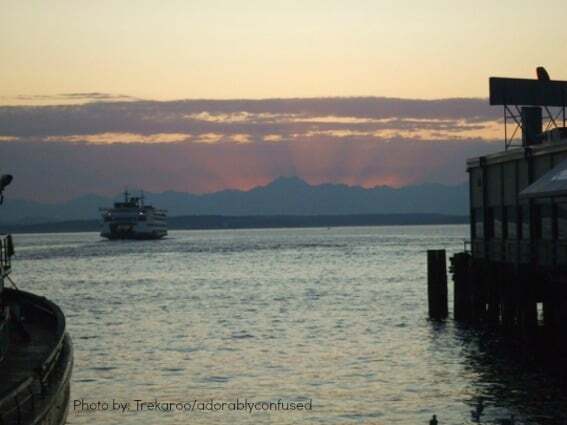 Looking for more tips on exploring Seattle with your family? Find out where to play with little kids or tweens and teens in Seattle! On a budget? Explore family fun for free in Seattle. Ready for more? Check out our top 10 things for families to do in Washington State!